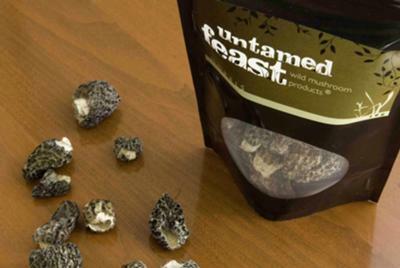 I own and operate "Untamed Feast", and we specialize in gourmet wild mushrooms. You can purchase a package with recipes inside, and also follow the wild adventure of the hunt for your mushrooms on our website and you-tube channel. 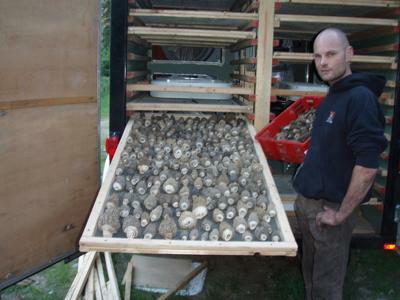 We use a portable mushroom dryer and travel all over Western Canada for our harvest. Mushrooms are hand-sliced and dried the same day. We package our retail products at the end of the season in a facility on Vancouver Island, and distribute to stores from there. We don't ship to USA yet, but our products are available in some stores in Canada! Anyone is always welcome to join the mushroom adventure by visiting the website and seeing what wild adventure I am currently on. Thanks for the info, Eric. Your site is full of links to informative videos and recipes. I like that a message of your business is to "know where your food comes from," something I think is sorely lacking for a lot of us. So that's a picture of the dryer that you haul around with you as you hunt for wild mushrooms? Heh, that's awesome. Keep up your mushroom adventures!